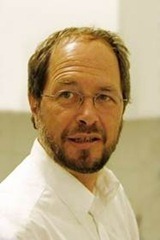 Heinrich Hussmann is a full professor of Computer Science and leader of the Media Informatics Group at the University of Munich. He has taught and done research at universities in Munich, Passau and Dresden. For several years, he was a system engineer and team leader in the advanced development laboratory of the telecommunications divisions of Siemens. He has participated in over 12 national and international projects in the area of software engineering and telecommunications. Heinrich Hussmann is author of over 65 refereed publications, including three books. A full list can be found here. 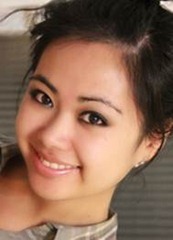 Alina Hang received a diploma degree in media informatics from LMU in 2010. She spent five months of her studies abroad at Lancaster University, UK and gained international experience. She was awarded a scholarship by the “Studienstiftung des Deutschen Volkes” in 2007. Due to her studies and stay abroad, she has gained experience in: Human computer interaction and mobile interaction (Near Field Communication and projector phones). Her current research focus are mobile projections. Alina Hang, Gregor Broll, and Alexander Wiethoff: Visual Design of Physical User Interfaces for NFC-based Mobile Interaction. In Proceedings of the 8th ACM Conference on Designing interactive Systems, DIS ’10. Aarhus, Denmark, August 16 – 20, 2010. ISBN 978-1-4503-0103-9. Alina Hang, Enrico Rukzio, and Andrew Greaves: Projector Phone: A Study of Using Mobile Phones with Integrated Projector for Interaction with Maps. In Proceedings of the 10th International Conference on Human Computer Interaction with Mobile Devices and Services, MobileHCI 2008. Amsterdam, Netherlands, September 2-5, 2008. ISBN 978-1-59593-952-4.